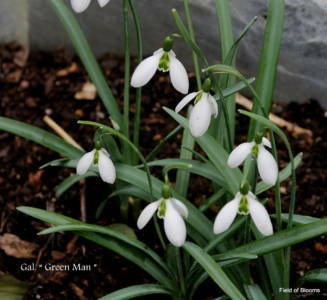 A robust and vigorous selection of Galanthus plicatus, the Galanthus Augustus is a distinctive, well-proportioned and attractive flower with large globular leaves. 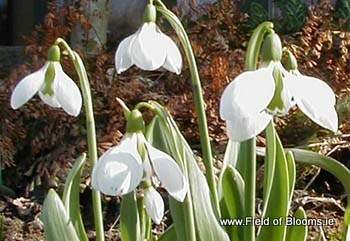 The outer perianth segments are pure white with dimpled petals. The inner perianth segments are green, faintly waisted, with a white patch in the basal region. They are vigorous and increase well. They usually flower from February to March to a height of 15cm. 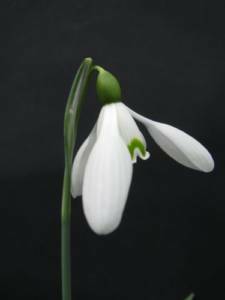 The Galanthus Augustus was named by Amy Doncaster for E.A.Bowles, Augustus being his middle name.